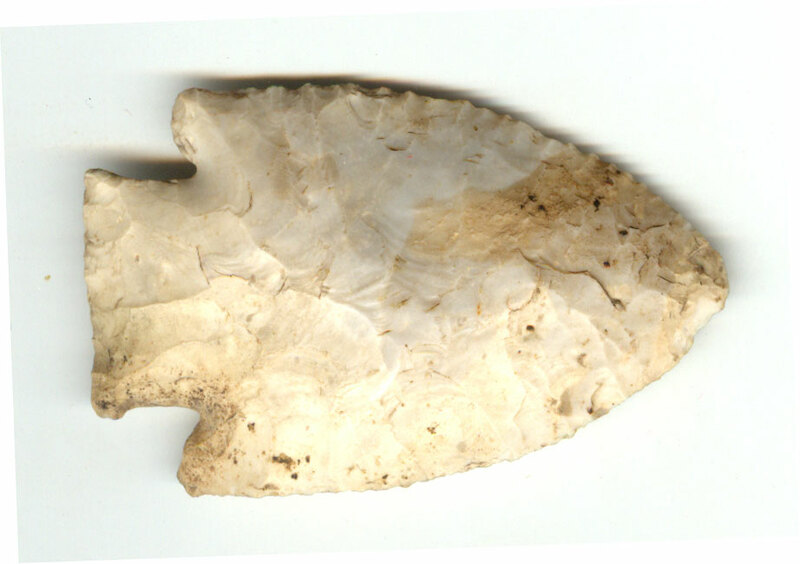 A Medium Size, Visibly Aged And Anciently Use Sharpened, Well Made, First Stage, Short Stem Style Hardin Point That Exhibits Surface Sheen Aging And Stone Coloration Patination, Correct Rolled Basal Stem Edge Hafting Dulling, Aging In The Corner Stem Notching, Correct Early Style Flaking, Overall Aged Surface Deposits, Correct Light Blade Edge Touch-Up Sharpening, Correct Material And Manufacture For The Area Found. Purchased At The 2019 Collinsville, Illinois Artifact Show By Ken Partain. This Is An Excellent Example Of A First Stage Hardin Point, Being In Very Good Condition. Includes A Ken Partain Certificate of Authenticity.